All Yale forklifts and lift trucks are engineered and built to provide the lowest lifetime cost of ownership for our customers. 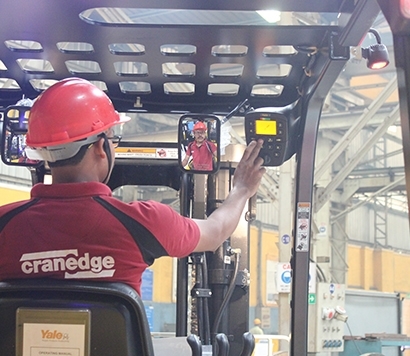 ElectroMech’s dedicated service organisation- Cranedge backs the Yale integrated servicing solutions with highly dependable maintenance and parts support. 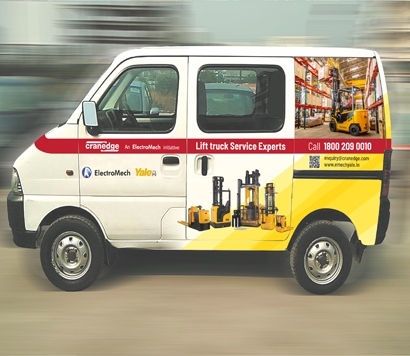 Cranedge offers servicing solutions with its extensive network of highly dedicated service engineers throughout India. We help you enhance the productivity and efficiency with the quickest response time. Cranedge also offers value addition in terms of consultation on equipment utilisation and optimisation. Our servicing solutions not only address the customer’s requirement but also helps them remain efficient over the entire lifetime of the equipment. So, call us to service your entire fleet, enabling you to maximise up-time and reduce running costs.